Did you know that a well-lit room actually has three different kinds of light? In order to create a room that’s comfortable, safe, and efficient, your lighting plan should include all three types. 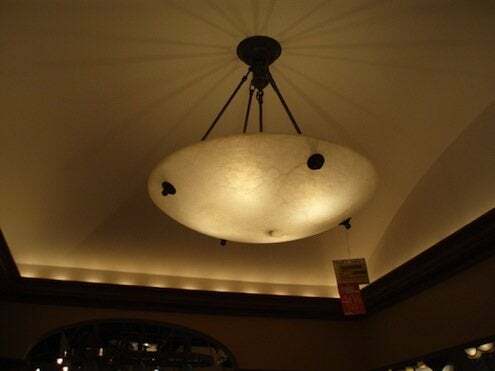 The first type of lighting is called ambient lighting–that’s the general light in a room, and it often comes from an overhead fixture or recessed lights. Ambient light shouldn’t be too bright, since it can make a room seem cold or industrial. Add extra light, as well as warmth and drama, by using what’s called accent lighting. Accent lighting includes lamps, wall sconces, or lights designed to highlight a particular object, such as a painting. Don’t overdo it on accent lighting, as too much of it can make a room feel chaotic. The third kind of lighting is task lighting. As the name suggests, it’s light designed to help you with specific tasks – these include reading lamps by a chair, undercabinet lights to illuminate your kitchen counters, or a pendant light directly over a table.